Welcome to our gardens. 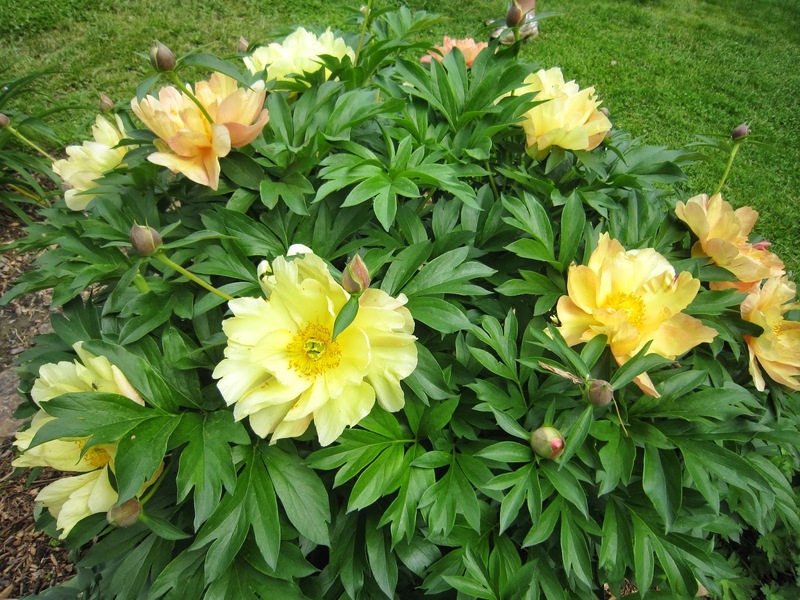 You will meet fellow peony enthusiasts who would love to show you what they are growing, whether it be species, old and new herbaceous cultivars, Itoh's or tree peonies. We offer fine peonies, fabulous aromas and superb photo opportunities! Please notice many appreciate the courtesy of a call or email to visit. Pierre Turenne and Lucie Pepin, 450-549-4575, 351 Simoneau, Acton Vale, Qc. pierreturenne2@gmail.com Chez-nous, la floraison des pivoines s'étend de la fin mai à la fin juin. Nous avons différentes sortes de plantes ou d'arbustes en fleur du printemps jusqu'à l'automne. S.V.P. téléphonez ou envoyez un courriel avant votre visite. Marian Bohlken, Peony World, 2221 Bloor St, Bowmanville, ON L1C 3K3. Nick Visser 905-775-2770 1093 Graham Side Rd. RR#2 Newmarket , ON nick_visser@sympatico.ca Gardens open June 15-16. Please call for directions. Darm Crook, 867-874-2829, 63 Wild Rose Drive, Hay River, Northwest Territories, crook1945@yahoo.com, Bloom time late June to Late July,/Early August. Brian Porter 306-543-8259 7119 Steer Avenue, Regina, SK bjporter@accesscomm.ca Approximately June 15 to July 5. Please call ahead. Public Gardens: Most public gardens have an entry fee in the $20 range, per person.